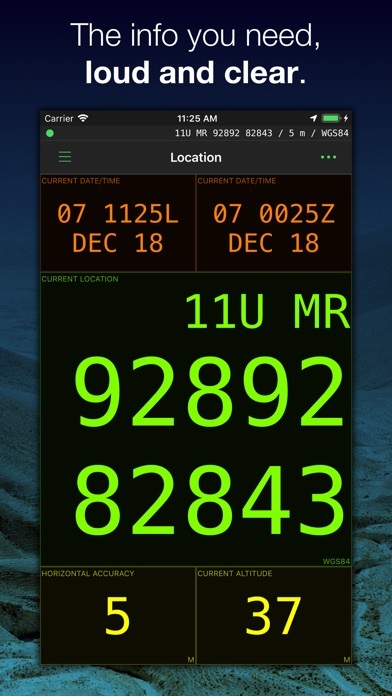 MilGPS is an MGRS/USNG focused premium navigation tool trusted by soldiers, search and rescue personnel and other professional navigators around the world. View your current location and navigate to a waypoint in seconds. Or plan and organize your navigation using the powerful and intuitive mapping and overlay capabilities. FEATURES Display your current location in real time - Cell phone signal not required but will make location fixes faster (maps require a data connection) - Military Grid Reference System (MGRS) & United States National Grid (USNG) (4, 6 8 10 figure grid references supported) - Universal Transverse Mercator (UTM) - Latitude/Longitude (degrees, degrees and minutes, degrees minutes seconds supported) - Ordnance Survey National Grid (grid and easting/northing in metres) - Military date time groups for local/zulu time - All info is displayed in large, clear text for easy viewing at all times - Location and navigate screens are fully customisable - choose what info you want to see - Wide variety of datums supported including WGS84, NAD27, OSGB36, AGD66, ED50 - Define up to 3 combinations of datum and location format for location display and waypoint entry Create and navigate to waypoints - Unlimited waypoints (upper limit dependent on device storage and memory) - Enter waypoints from current location, map or using any of the above supported location formats. - Live update of distance/bearing as you enter coordinates (sanity check your grids) - Waypoints are fully editable, and can be sorted by distance or name - "Quick goto" feature for quickly entering grids and navigating to them - accepts shortened MGRS grids. 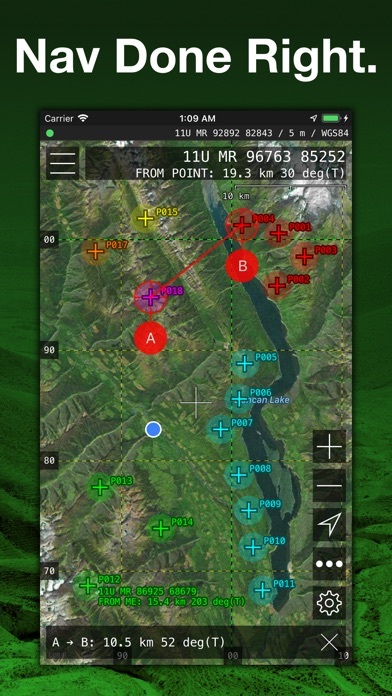 - Receive an arrival indication as you approach your waypoint - Import and export waypoints via the standard GPX file format (routes and tracks not currently supported) Mapping - View current location and waypoints on map, complete with custom smooth scrolling grid overlay (MGRS/USNG/OSNG/UTM) - Choice of Apple or Google maps. 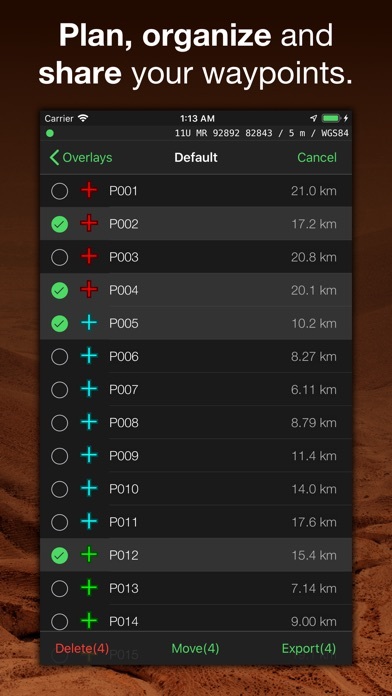 - Use the crosshairs to position new waypoints and measure distances/bearings - Choose from standard/satellite/hybrid/blank map type - Grid overlay with labels for grid zones, 100km, 10km, 1km, 100m squares - Map can be set to follow your current location and/or heading. Other features - Simple, intuitive interface that can be operated easily with one hand. 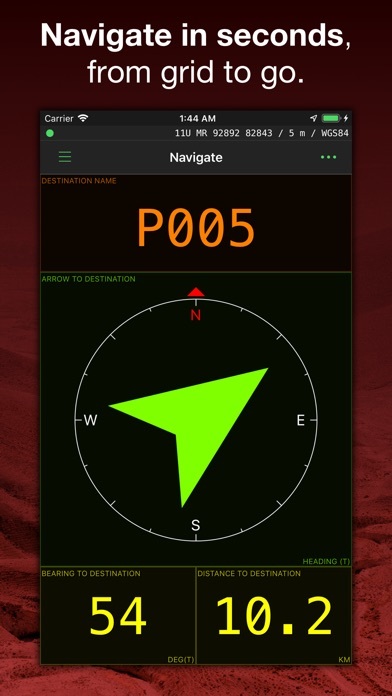 - Convert between location formats easily using the add waypoint screen - Supports degrees/mils for angle, with choice of true, magnetic or grid north reference. - Supports feet/metres for altitude - Supports imperial/metric/nautical units for distance Why choose MilGPS over other apps? - MilGPS is under active development and testing (since 2010) - MilGPS is painstakingly crafted by an independent developer - MilGPS emphasises accuracy, simplicity, ease of use and stability Things that aren't in the app (yet): - track recording - offline maps - ability to create routes of multiple waypoints - mapping sources other than Apple and Google maps NOTE: Mapping function requires a data connection. Using GPS will shorten battery life. 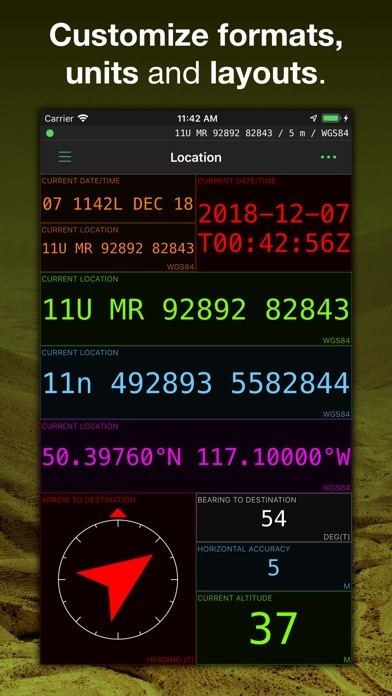 WARNING: YOUR USE OF MILGPS IS AT YOUR OWN RISK MilGPS is an aid to navigation only and is intended to be used in conjunction with other navigation methods and tools. MilGPS must not be used where relying on MilGPS could result in death, injury or financial loss. This includes use on military operations, live-firing activities, aviation and surveying use. MilGPS is not tested to military specifications and is not endorsed by the military of any nation. MilGPS is not a substitute for military issue equipment. Your use of MilGPS is governed by the standard App Store Licensed Application End User License Agreement. IMO a little complicated to use. A lot of great features once you figure out how to use them. The app is only as good as your phone’s GPS bare that in mind. In land nav, generally, it will get you to about 5-10m of where you’re going. I would recommend this app. So far I’m impressed with the amount of detail and data this app can help you with. Haven’t used for advanced marking or waypointing yet but when it comes to positioning yourself ANYWHERE on Earth this is the app to get. Comes in handy when trying to get a quick grid , especially for my military folks!! I’m in the military and this has been a very helpful app with what I’m doing now. It would be five stars if I could make more in depth graphic overlays such as phase lines, objectives and all military essential symbols. But as I said it works great and I’ve even stopped using my wrist gps most the time and started using this. I need an app that I can go in the back country outside of cell service and still use google maps offline. Please add off-line google maps and I will give this a 5 star rating.